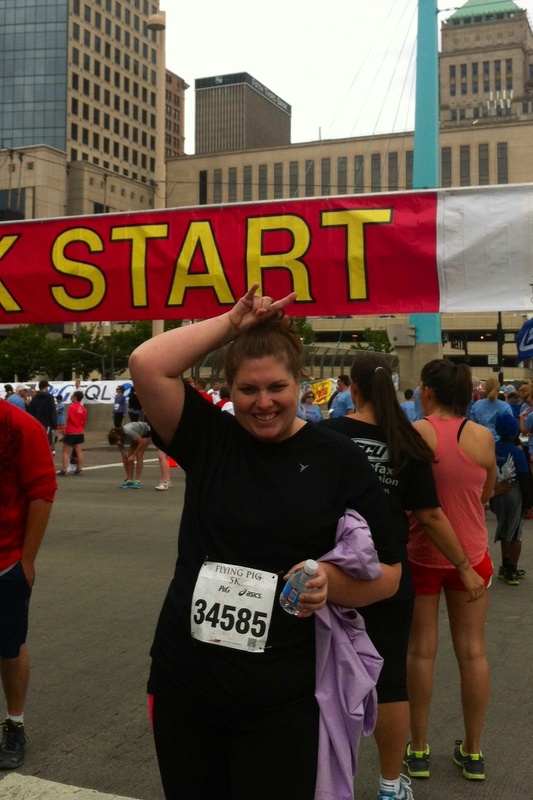 The first in a series of “Newbie Confessional” posts from guest blogger Tela Durbin. Tela here — new to the running world, really new to the Bad Angels Running Club, but an old person. Just celebrated my a-hem-thirty-something-mumble-maybe-late-30s-ahem birthday. But also, I wasn’t GOOD at it. It was hard for me. So I avoided it. But weird things happen as you age. You realize change is good. When you change, you grow. And instead of avoiding the hard things in your life, you confront them head-on because you know even if it doesn’t end well, at least you’ve learned something. So, I found some Couch to 5K plans and started on my journey. And something interesting happened along the way. I discovered I didn’t hate running. Was it because it was no longer forced upon me? Because that runner’s high is actually real? Because I finally got a good 30 minutes of “me time” a day? Whatever the reason, I began looking forward to my runs and trying to figure out how I could maximize my time at work/home/life to squeeze in a run here and there. My persistence paid off — I completed my first 5K in May, and I’m still running. Rest assured, I’m still not good. But I AM learning — how to tackle the things I once feared; how to de-stress positively; how to get some much-needed “me time”; how to be a better parent; how if, just because I’m not the best (or even as good as my friends) at something, it doesn’t mean I need to give up; that I sweat a LOT; that I have muscles, sometimes they hurt, and that’s a good feeling; that my dog loves to run; that I like talking to people about something other than my kid; and much, much more. If you are thinking about picking up those running shoes and giving it a try, please do. If I can do it, anyone can. I know, I know, everyone says that. But they say it because it’s TRUE. This entry was posted in Angelic Thoughts, Beginner's Guide and tagged beginner, Couch to 5K, newbie, rookie, running. Bookmark the permalink.